Governments and corporations are driving the demand for water, land and organic resources of all kinds as never before. Citizens are fighting for their rights and working to preserve their livelihoods. Our study "Tricky Business" shows how the mechanisms of expropriation work. Resource and energy demand has increased over the last few decades, with more extraction and land use happening in more countries than ever before. The rising resource demand from the industrialized countries and emerging economies depends on the resources located in the Global South. Many governments in the Global South have opted to advocate for natural resource exploitation as a pathway to greater socio-economic development. However, this route needs to be challenged by looking at the actual benefits and costs imposed on people and the environment by current practices in the natural resource arena. The perspective of many affected communities is clear: They do not currently stand to gain, and indeed often suffer, from present approaches. Accordingly, they are calling for greater participation in decision-making and protection of their rights in natural resource development and governance. Opening up lands for resource development projects in the Global South generally goes hand in hand with enshrining participation rights for the public to ensure their input in decision-making. In many places, however, civil society actors who are pushing for a greater say in project implementation or resource governance face increased pressures. When non-governmental organizations (NGOs), community-based organizations, and their individual members make claims about the use of natural resources, they face particular threats to – and restrictions on – their space, generally characterized by a high level of physical intimidation, and even lethal violence. These pressures may also include the initiation of unfounded criminal investigations, surveillance, defamation, burdensome registration requirements for NGOs, stricter regulation of foreign funding for NGOs, and the restriction on demonstrations. Such pressures on civil society in the natural resource arena are not an isolated development, but part of a larger, seemingly global trend to cut back civic space, as documented by organizations such as CIVICUS in their annual State of Civil Society Report, or by the UN Special Rapporteur on the Rights to Freedom of Peaceful Assembly and Association. The authors of this study traveled to India, South Africa, Mexico, and the Philippines to study projects and talk to civil society activists and organizations on the ground. The resulting analysis provides us with insights on how we can better address and monitor resource and environmental policy projects. Download or order the full study here. The concept of “space” moves attention away from single types of pressure, for instance a narrow focus on the freezing of funding. It thus serves to more fully capture the wide range of pressures and restrictions experienced by civil society organizations. In addition, it enables studying the interaction between – and possibly sequences of – different forms of restrictions. Space, then, denotes the possibility and capacity of civil society to function in non-governmental or community-based organizations and to perform its key tasks. Without a real place at the table, civil society space can deteriorate into “fake space.” A study of civil society space should, therefore, not only focus on the pressures faced, but also include an analysis of civil society’s ability to use that space to actually obtain a real voice and induce change. The study at hand was designed to uncover common patterns and dynamics of restrictions on – and coping strategies adopted by – civil society actors in the specific context of natural resource exploitation. It draws on case studies in India, the Philippines, Mexico, and South Africa. These four countries have huge reserves of natural resources, whether in the form of deposits for extraction or vast tracks of land suitable for energy production or industrial agriculture. They are all also home to conflicts about their natural resources, in particular with regard to their exploitation, development, and governance. In addition, the four countries can be considered “partial democracies,” in contrast to strong authoritarian or strong democratic states. One salient feature of partial democracies is the difference between the de jure space of NGOs, which is the space they should have according to applicable legislation, and the de facto space of NGOs, or the actual existing space in which they operate (Van der Borgh & Terwindt 2014, 15-16). This study relies on qualitative interviews conducted with grassroots organizations and NGOs working in the field of natural resources. In addition, individuals were interviewed who are working on the international level for international NGOs or governmental institutions and whose mandate explicitly includes the support of civil society or the protection of human rights defenders. The examples of natural resource governance in Mexico, South Africa, the Philippines, and India show how laws and administrative decisions allow for and foster natural resource extraction without ensuring adequate participation rights. Guarantees for participation, albeit enshrined in national legislation, do not automatically protect those affected. On the contrary, communities, civil society activists, and NGOs often have to actively advocate for being included in decision-making by government or the private sector. If communities and NGOs push to be heard and have their criticisms taken into account, violations of their civil and political rights frequently ensue through, for example, defamation in the media, threats per SMS, arrest warrants, or even killings. The sequence and kinds of pressures on civil society tend to follow the logic of natural resource exploitation and are often traceable to specific stages in a project. Early on, information is rarely made available to communities, hampering any efforts to make an informed decision or mobilize. As soon as critics start speaking up about a project’s negative impacts and their opposition to it, they face pressure. This pressure can be in the form of targeted intimidation, stigmatization, or the criminalization of individuals or organizations. The stage of a project in which extraction licenses get approved is often marked by high levels of contention. Public protests can lead to mass criminalization, administrative restrictions on the freedom of assembly, or physical encounters, and vice versa. Finally, not only, but in particular, leaders who continue to resist the implementation of extractive projects despite earlier threats and defamation can risk being killed. Even though killings are certainly the most drastic threat faced by communities and NGOs, already before such killings occur, many communities may have been intimidated to an extent that leads them to the decision to remain silent. Killings really are only the tip of the iceberg, and support for community members and NGOs should thus come long before they face physical harassment. It has also become clear that a number of actors play a role in putting pressure on those speaking out, ranging from government bureaucrats and police forces to private security guards, company managers, and neighbors in communities. In response to such threats, civil society, in coordination with governments and international institutions, has developed a wide range of measures and coping strategies to shield and protect community-based organizations, NGOs, and their individual members against such pressures, and to reclaim space for organizing and speaking out. Lessons learned have been collected in a number of manuals and toolkits, which can serve as guidance to other organizations and communities. Some measures focus on protecting physical integrity and security, such as access to emergency grants, security training, provision of secure spaces or relocation, accompaniment, medical assistance and stress management facilities, awards and fellowships, or solidarity campaigns and visits. Other strategies have been developed specifically to counter administrative restrictions on registration, operation, and funding of NGOs, or for responding to fabricated charges. While some of the strategies thus counter particular types of pressures, guidance has also been developed to explain the availability of support that can be offered by European Union missions, United Nations institutions, or national human rights institutions. Specific attention has also been paid to the particular risks for women who take leadership roles and speak out publicly. Thus, although a variety of measures and support mechanisms exist, it can be difficult to assess what is most strategic in a particular situation. As one of the most prevalent forms of defensive responses, affected community members and NGOs often opt for emergency response measures. Yet, these ad hoc measures present a number of problems. Security precautions may end up being so time-consuming that those at risk might prefer to focus on their political work instead of meticulous adherence to security protocols. Meanwhile, choosing to fly under the radar may result in unintentionally downplaying or obscuring the extent and nature of the threats and harassment they face. With limited time and resources, organizations have to make choices and may end up getting caught in reactive response loops, leaving fewer capacities to dedicate to longer-term strategies. In addition to short-term response measures, movements try to develop proactive, longer-term strategies. Through visibility campaigns, they strive to expose restrictions on the space of civil society and the authors of such pressures. Affected communities, civil society activists, and NGOs also engage in human rights advocacy with government actors to guarantee a secure space for the exercising of their political and civil rights. These long-term strategies face a number of challenges. For example, the decision to go public and demand accountability might mean exposing victims of harassment to further threats. Reliance on human rights entails further dilemmas. Although human rights advocacy is the most prevalent framework to counter pressures on civic space, it has limits when economic interests are at stake or when governments refuse to pledge adherence to human rights. Against this background, it is indispensable to develop further proactive strategies countering the very dynamics that are so characteristic of natural resource projects and that allow for, and result in, killings and other forms of restrictions. Given that the type and sequence of pressures are closely related to the stages and actors in the natural resource arena, proactive strategies can push for changing those structures that shape natural resource development. This report addresses three such structuring elements: consultations, business, and law. Consultations: An essential step in resource development legislation, policies, and projects is the inclusion of civil society, and affected communities in particular, in decision-making. Protests and conflicts are often intensified by thwarted attempts at meaningful participation. One tool that has become widespread in law and practice is the “consultation” process, which is at the heart of civil society participation in decision-making about natural resource projects. Increasingly though, consultations have been criticized as hollow exercises to legitimize extractive projects, without taking local concerns into account. When affected communities and NGOs set out to exercise their rights to freedom of expression and peaceful assembly against this continued exclusion, destructive dynamics may be set in motion in which community divisions, defamation of leaders and NGOs, and public protests can eventually lead to physical confrontations that sometimes result in violent actions against civil society, including targeted killings. Certain fundamental changes are needed to avoid consultations becoming mere window dressing to push through extractive projects. For example, civil society participation should not only be guaranteed once a project is planned, but also in the adoption of trade rules in multilateral and bilateral fora, legislative proposals on extractive industry regulations, and national and regional development plans. Consultations must rely on adequate access to information. The imbalance of power between businesses and communities needs to be tackled, and financial institutions should create the right incentives. Benefits should be shared adequately, and it should be recognized that not all projects are viable. Business: Response strategies that deal with the involvement of business actors are poorly developed. What is expected of corporations in the natural resource arena needs to be made more explicit, and new ways must be found to push business actors to live up to their responsibilities. Business is still all too often viewed as an “outsider” to local dynamics, thus exempting them from actively preventing and countering the pressures faced by civil society members and NGOs critical of particular projects or development policies. Business should be pushed to implement the, at times promising, rhetoric it has adopted, and be reminded of its responsibility through complaints in (quasi) judicial fora. Financial institutions and the money they provide are often the backbone of natural resource projects, and the leverage they have over business behavior should be utilized more effectively to enforce relevant standards on community protection. Companies need regulation and oversight, and home as well as host states should assume a more prominent and effective role in implementing such structures. 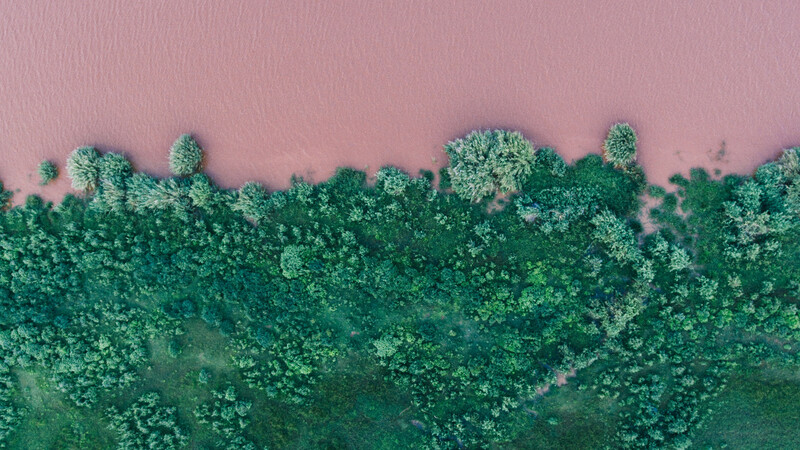 Law: Legislation plays a key role in shaping natural resource governance, but it often favors corporate investments over the protection of local communities. Laws are also instrumental in restricting civic space through administrative regulations or practices of criminalization. At the same time, though, social movements can use legal instruments strategically as leverage vis-á-vis more powerful actors. Communities and NGOs therefore need tools to counter legal pressures and develop strategies to use legal procedures to reclaim their space and influence. For the purposes of this study, the countries are considered partial democracies if they received a rate between 2 and 4 in the Freedom House rating in 2016 (South Africa 2; India 2.5; Mexico 3; Philippines 3).